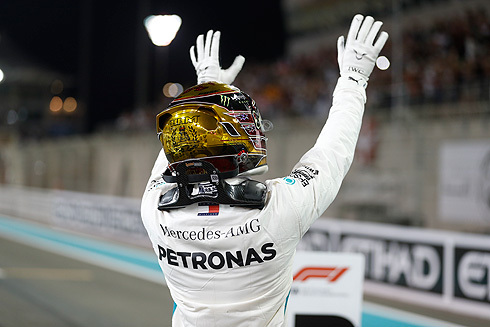 Mercedes driver Lewis Hamilton qualified on pole position using the P Zero Pink hypersoft tyres on their final qualifying appearance, with a time that was a second and a half faster than last year’s pole: a new track record. Qualifying was close from start to finish, with the Q2 session dominated by tyre tactics. Eight drivers went out on the ultrasoft tyres, around a second slower than the hypersoft. However, only five of them set their fastest times on the ultrasoft – including Hamilton – and they will be the top five on the grid, ahead of Red Bull’s Max Verstappen. The most likely strategy tomorrow is one pit stop, but this also depends on the degradation rate of the hypersoft, for those starting on this compound. With Yas Marina being a difficult track to overtake on, race strategy could make a decisive difference. 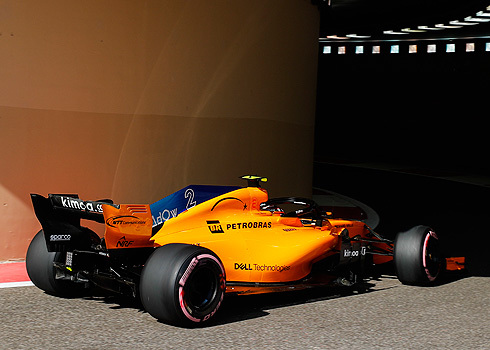 Track temperatures fell progressively during the evening qualifying session, as is usual at Abu Dhabi, with the fastest times coming right at the end. SUPERSOFT - Not seen in qualifying but expect to see it as part of a one-stopper. ULTRASOFT - Many drivers tried to set their fastest times on this in Q2, not all succeeded. HYPERSOFT - Around one second faster than the ultrasoft, used to set a new track record.